Located on the SE corner of SW 118 Avenue and SW 49 Street. Located on the SW corner of Stirling Rd and Palm Ave (100th Ave). Directions: 4U Instructional Tee Ball division field. 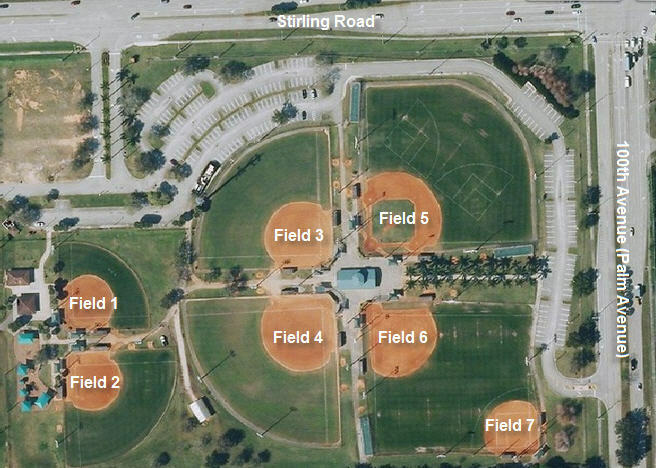 Located in right field of Field #5. Directions: 4U Instructional Tee Ball division field. Located in left field of Field #5.